Passenger from Greece is a cross-genre work of fiction that combines exotic locations and international romance, Passenger from Greece touches on the important political and criminal issues of drug trafficking in the Caribbean islands and the serious economic issues in Greece that fuel this trade. It explores the controversial and menacing issue of cocaine seizures and illicit drug trafficking in a classic tale of criminal behavior, love, and lust. The novel’s main character, Olivia Reid, is a young, feisty, yet innocent international flight attendant from the islands, who embarks on a dangerous adventure and a seductive affair that spans the Caribbean, New York City, and Crete. Eventually, as the flames of desire that consume Olivia are fanned by deception, lust and greed, she painfully finds her way back to her ancestral home. While the book is at its core a cautionary tale about love-gone-wrong, it also touches on deception at the deepest family level. 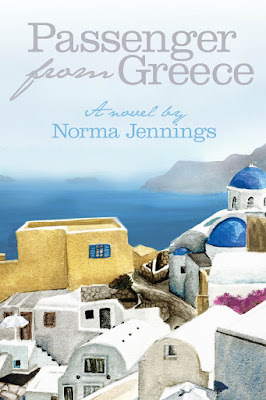 Passenger from Greece explores how familial relationships, flawed characters, secrets, and lies can destroy lives and create deeply felt wounds that go straight to the heart. The book opens with a movie-worthy crash. What did you base these opening scenes on? I was a flight attendant, and some of my dear colleagues were involved in a plane crash (a mere scheduling conflict kept me off that flight). I went back to them and asked them for descriptions of feelings, thoughts, and misery of crashing into a swamp, which really happened. They described the terror of first experiencing an aircraft crash, followed by the horror of being trapped in a swamp until rescue. So, when I set up a story about international romance and mystery, I thought, what would be more captivating than to introduce the characters to each other in such an intense and terrifying situation? International drug trafficking is central to the plot. What compelled you to write about this topic? The book addresses family relationships, infidelity, and mother/father influences. Why did you weave in these themes? Motivations. I wanted to create flawed characters whose motives and desires were rooted in their familial relationships: a daughter’s desire to please her mother, a son’s desire to please his mother, and a grandmother betrayed by her spouse. I asked myself: What lessons could be learned? What understandings reached? How could I write relatable situations that would draw in readers? Based on the core foundation of any person’s experience, one always comes back to his/her family beliefs, morals, and values. How are drug trafficking and cultural issues central to the plotlines and themes in your novels? The illicit drug trade is affecting my native homeland, Jamaica. I wanted to also dispel prejudice and ideas about Jamaicans and other Caribbean islanders. My books always deal with cultural differences though depictions of my own childhood experiences growing up at Twickenham with my grandmother, Sedith, who’s featured in both of my books. She was our family’s matriarch and had a tremendous influence on her children and grandchildren. 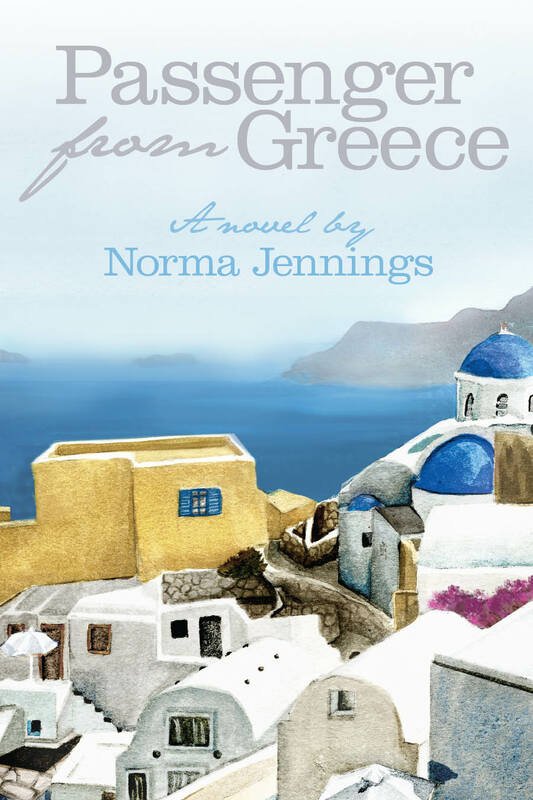 I brought the stories she told and the lessons I learned in my own life to the pages of Passenger from Greece. Are you working on a new novel and, if so, what can you tell us about it? I’ve made good progress on a third book, which is an action-packed historical fiction novel about the brutal colonization of Jamaica by the British, and the barbaric guerilla warfare staged by the Maroons (runaway slaves) against the planters. Raw sexual moments between planter and mulatto slave mistresses, and a sizzling romance between a rescued concubine and a young guerilla chief are weaved into the novel, as it chronicles how ferocious and unrelenting resistance by Maroon men and women led to the abolition of slavery on the island, and ultimately to the country’s independence. 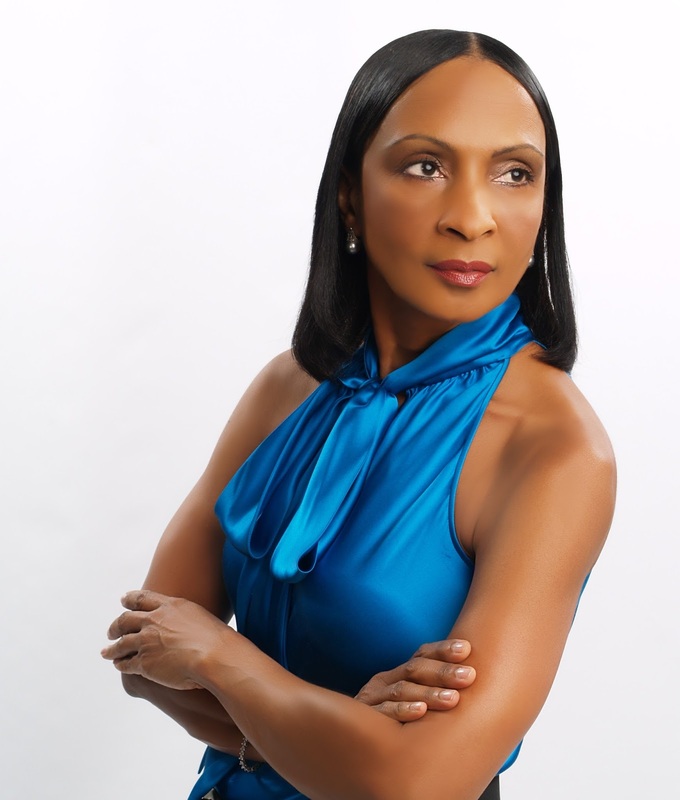 Norma Jennings is an ex-international flight attendant and current corporate executive with a passion for writing. Now residing in Florida, she was born and raised in the Caribbean and has traveled and explored many countries, including those featured in Passenger from Greece. From an exotic multi-ethnic background of black, white, and East Indian descent, Jennings credits her strong and dynamic mother and grandmother, and a remarkably intelligent and adventurous father, as her main influences. Jennings earned a Bachelor of Business Administration degree from Angelo State University and graduated from the Management Development Program at Harvard Graduate School. She has authored a previous novel, Daughter of the Caribbean, and is currently working on a historical romance set in Jamaica. Jennings has three grown children, and enjoys dual citizenship in both Jamaica and the United States. She visits her grandmother’s Caribbean home, Twickenham, as often as she can. For more information on the author or Passenger from Greece, please visit www.3LPublishing.com.